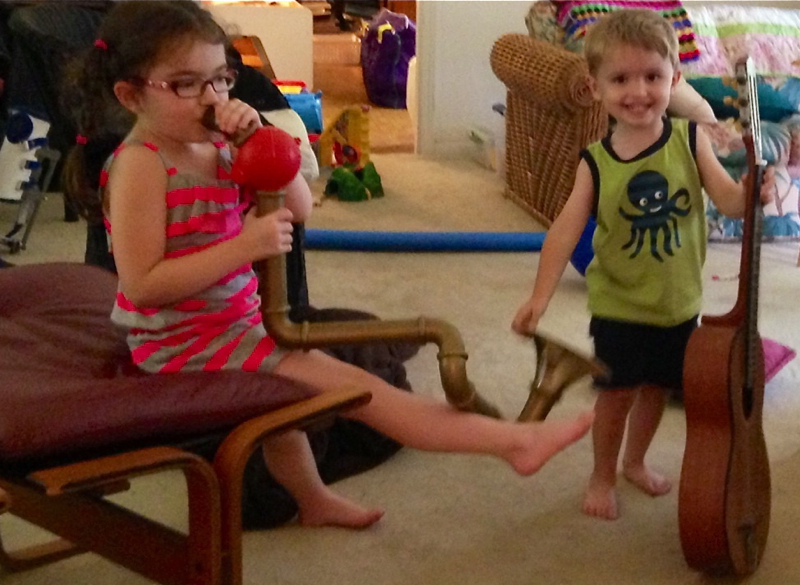 Our grandchildren Molly Kate and Walker entertain. Our Louisiana tribe’s recent Saturday visit to our home gave us a welcomed grandkid fix. 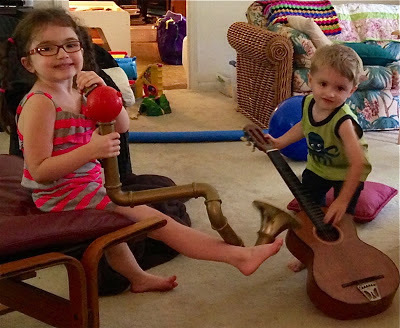 Louisiana grands Molly Kate and Walker kept things hopping, including music from toys that are more than four decades old and that their daddy played with. Baboo and Nana were definitely an appreciative audience. 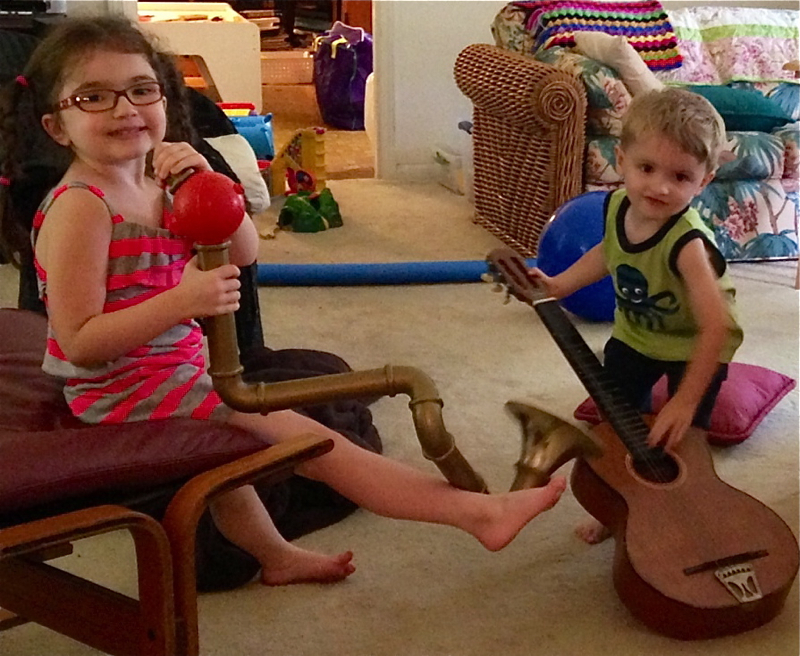 Hmmm, maybe future guitar lessons...even form a duo! They look like really nice kids too. Hugs.......and thanks for all your delightful notes lately. David still has his 2 clarinets, which he intends to give to the grandkids if and when they join the school band. 40 year old toys and they are still in one piece? The kid’s dad must have been a very good boy. Don't you just love how the grands can find joy in the same toys their parents did? I do!